A man who credited the Switch with detecting a tumor in his hand had the tumor removed Monday. Now he’s come up with a clever way to play games during recovery. 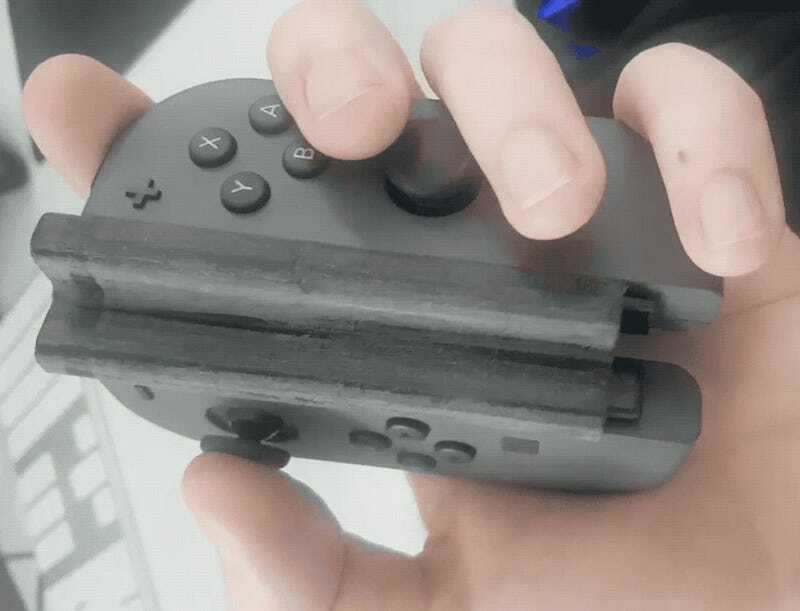 Last week we wrote about Chris, an Australian programmer, who discovered a tumor in his hand after experiencing pain while playing Mario Kart using the Switch’s Joy-Con. Chris recently wrote on Reddit that his surgery to have the tumor removed went smoothly. He’ll get his stitches out next Wednesday, as well as hear his results from the lab on whether or not the tumor is cancerous. He also wanted to give an update on gaming through recovery, since he isn’t able to use his right hand. When Chris initially posted on Reddit about the tumor in his hand, he was also looking for recommendations for games to play one handed. While he got plenty of suggestions—including my own suggestion of Darkest Dungeon—other users pointed him in the direction of an accessory that allows the Joy-Con to be used with just one hand. It’s a customized grip that you slide each Joy-Con into, bridging them together. When they’re in place, they can be gripped in one hand or laid on a flat surface. 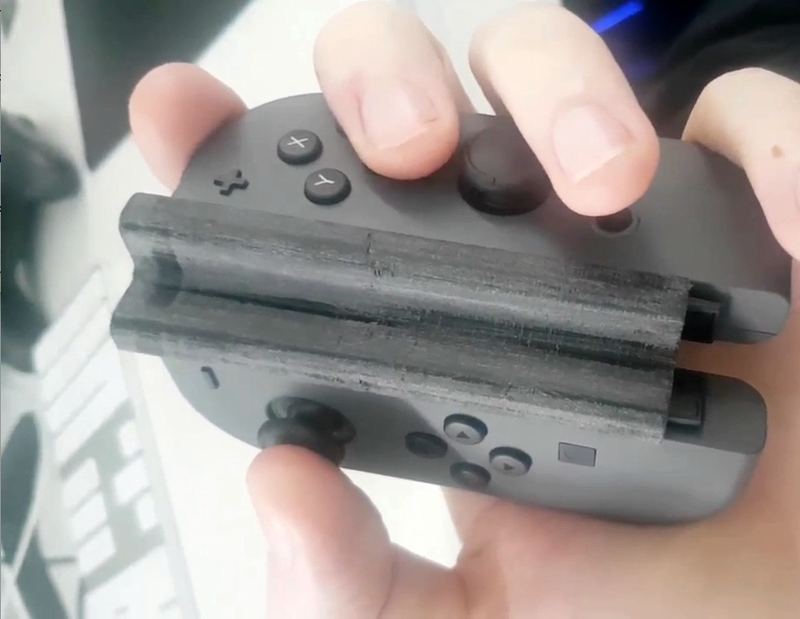 Another user offered to use his 3D printer to make the accessory and ship it to Chris, who is now happily using it to play his Switch. “It looks a little odd and uncomfortable, but it feels surprisingly natural,” Chris said in an email. “It took longer than I care to admit to get the controllers in.” So far he’s only tried to play Mario Kart and Mario + Rabbids with this accessory. “After a few minutes of getting used to it I was playing Mario + Rabbids really comfortably,” he wrote. “I want to get really good at Mario Kart using the controller,” Chris wrote on Reddit. “Mainly so I can beat my friends one handed and never let them live it down, but still.” Chris wrote that he’ll probably continue using the accessory even after his hand heals, “especially for games that you can take your time with, or for any game that only uses a few buttons,” he wrote.